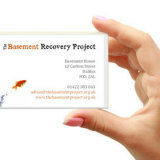 The Basement Recovery Project (TBRP) provides abstinent-based recovery services to people with drug and alcohol addictions. Its projects consist of residential and community-based services across Calderdale & Kirklees. TBRP is recognised as a mid-point organisation building connections between service providers within the substance misuse field and the wider community. TBRP lead on the delivery of projects that develop bridges between the integrated treatment services and the wider community by providing a range of discovery/recovery focused interventions to adult drug and alcohol users across our localities. With an ethos and belief that recovery is self-defined, contagious and within reaches of any individual, irrespective of their circumstances, we want to recruit a dynamic individual to join the current team to support our newly recruited recovery builders to promote recovery across the localities. The Basement Recovery Project is committed to valuing and promoting diversity in employment, service delivery practices and its’ general environment. An expectation of all posts is that each individual will take responsibility for promoting open, inclusive and accessible service provision, staff development and a culture that values and respects difference. •	To lead on promoting visible recovery in Calderdale & Kirklees. •	To coordinate, support and resource the development of recovery communities within Calderdale & Kirklees. •	Using recognised mapping tools, the post holder will identify recovery assets / resources within these communities and support the development of independent and self-sustaining community groups. c)	To develop relationships that build on the mutual (or symbiotic) opportunities for supporting members and or those in recovery to sustain their recovery. d)	In partnership with a team of recovery builders and other professionals, present information on 12 Step, SMART and other mutual aid groups and supporting early affiliation with these groups. e)	To work closely with Calderdale in Recovery & Kirklees in Recovery to identify opportunities for the development of member groups, recovery communities, recovery networks, social enterprises (or similar e.g. community interest companies) that lead to productive outcomes for those in recovery. f)	To develop opportunities between provider(s) and the public/private/third sector in the locality that supports each other’s organisational aims around recovery. g)	Working within the partnerships and through close links with the volunteer coordinator, you will support members and people in recovery to develop opportunities that sustain recovery by providing diversionary activities and educational opportunities. h)	To act as a link between the provider(s), public/private/third sector in the locality, members/ those in recovery and CIR/KIR to identify opportunities for development and access any financial/other resources that may be available to support such outcomes. i)	To find new ways of working that promote the recovery agenda including the adoption of asset-based working methods. 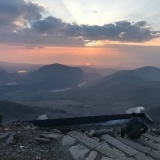 In addition, TBRP operates a comprehensive and robust Misuse of Substances at Work policy and as such we carry out regular voluntary drug and alcohol testing of staff and volunteers to maintain our abstinence ethos within the organisation. For a full Job Description and Skills Required for this role, please download the Job Description document through the links provided on this page.